Ice cream for breakfast… yes please! This is perfect for the summer days that are soon approaching (please god). 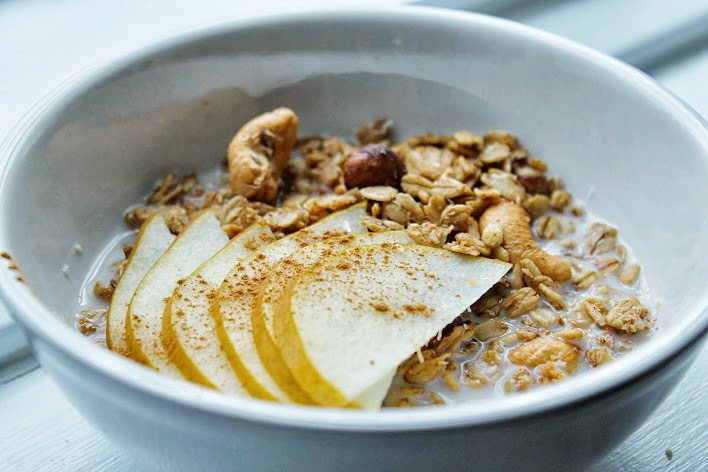 When it is sunny and warm outside, I no longer crave those bowls of comforting oatmeal or granola. I prefer something refreshing and cold, and this acai (pronounced ah-sa-ee… I think) ‘ice cream’ is the perfect nourishing breakfast, snack or dessert all summer long. Packed with good for you ingredients such as kale, cinnamon and chia make this the ultimate sweet treat. I topped mine with manuka honey, my Goddess Granola, sprouted buckwheat, almonds, banana and strawberry. MMM unreal! Acai comes from the acai palm tree that you can find only in Central and South America. I want to debunk some rumours that say that ‘acai is the weight loss secret you have been missing.’ Dont you hate those annoying ads? 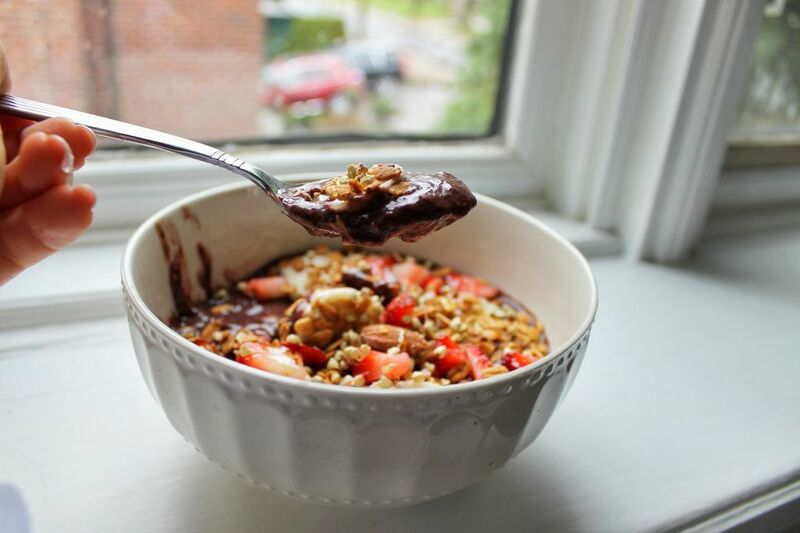 In fact, there have been no studies proving that acai helps you lose weight. Like other berries however, acai is a great addition to a diet, as it provides loads of antioxidants and healthy omegas. If you replace your nightly ritual of pies and cakes with acai, Im sure you will see some weight loss results ;). Lots of instagram requests for this recipe! If you don’t follow me on instagram already you can check out my page @cleaneatinggoddess. I post more pictures there of my daily creations, some make it to the blog some dont, so its worth a follow! 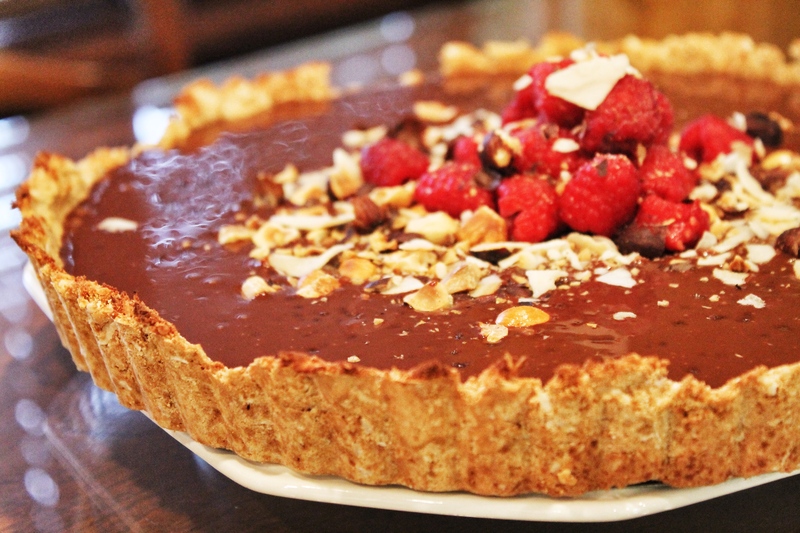 As always this recipe is free of gluten, dairy and refined sugar! Hope you all have a wonderful week! 1. Add all ice cream ingredients in a blender and blend until smooth. Add more water or almond milk to reach desired consistency.If you find that it is not thick enough, add more frozen banana. 2. 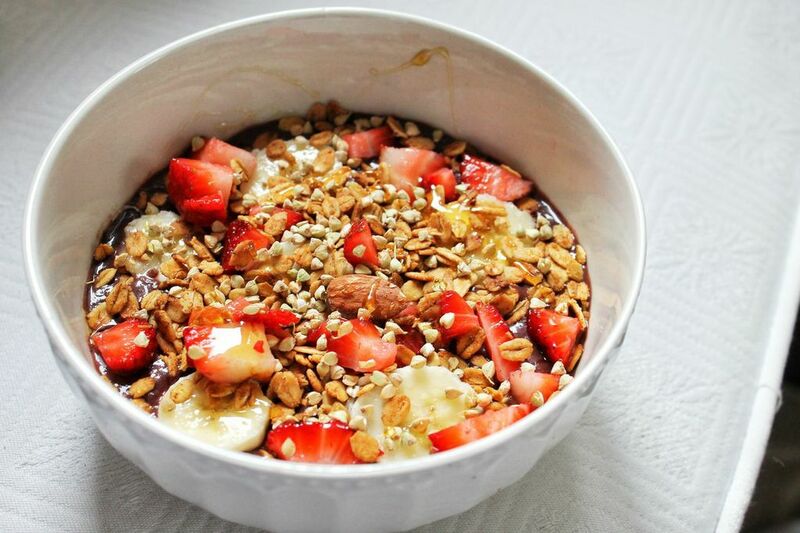 Place ice cream in a bowl and top with strawberries, banana, granola, almonds and honey. So many variations of granola have come around (like my quinoa granola) but nothing really compares to the classic. 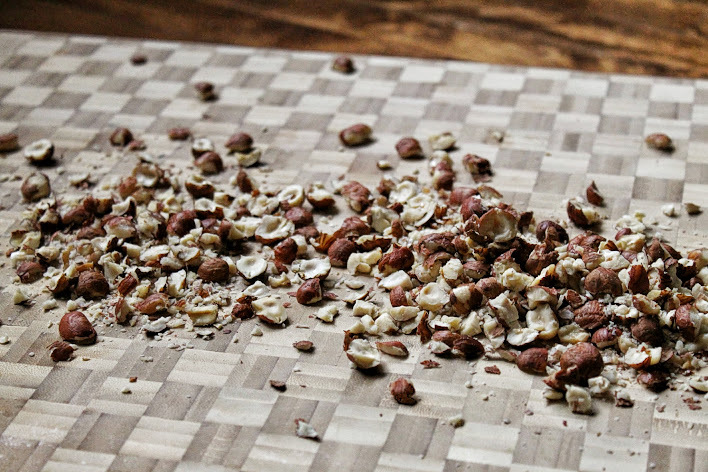 Something about the combination of the crunchy oats and fragrant nuts just warms your soul any time of year. Like I previously mentioned in my last granola post, most granolas from the grocery stores have added chemicals, refined sugars and oils to make a really average tasting product. If you don’t have a lot of time in the morning, this is a nourishing breakfast that can be brought in a container or baggy. Its also a great alternative to sugary breakfast cereals kids are starting their day with. 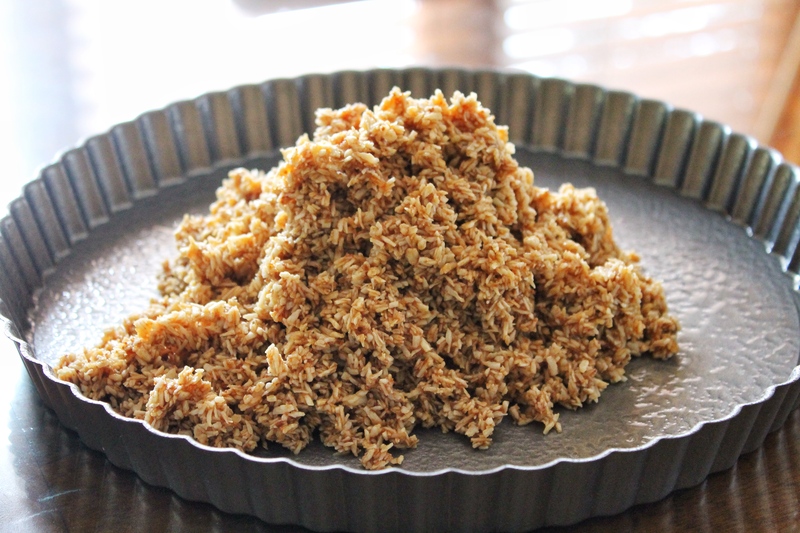 Take for example Harvest Crunch. From reading the cover, most parents would think they are giving their children a fantastic nourishing breakfast. The box says that it’s full of fibre, has 100% whole grains and is made using ‘natural’ flavours. So why did they need to add the wheat, brown sugar, barley, modified milk ingredients and sunflower/canola oil? 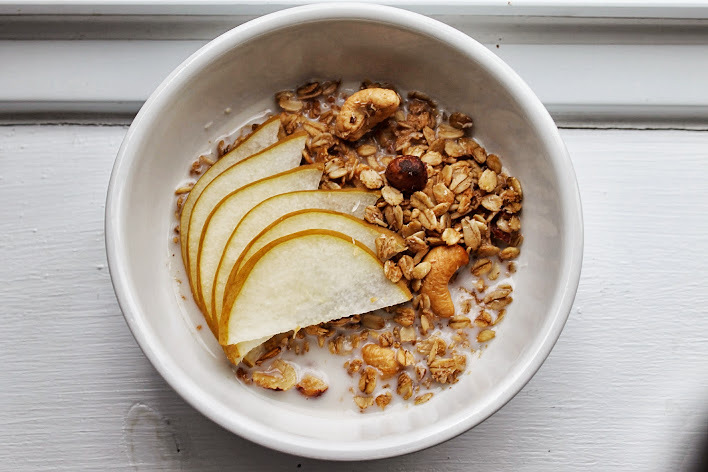 To make an awesome tasting granola all you need is a combination of oats, fat and sweetness, so choose the right kinds! 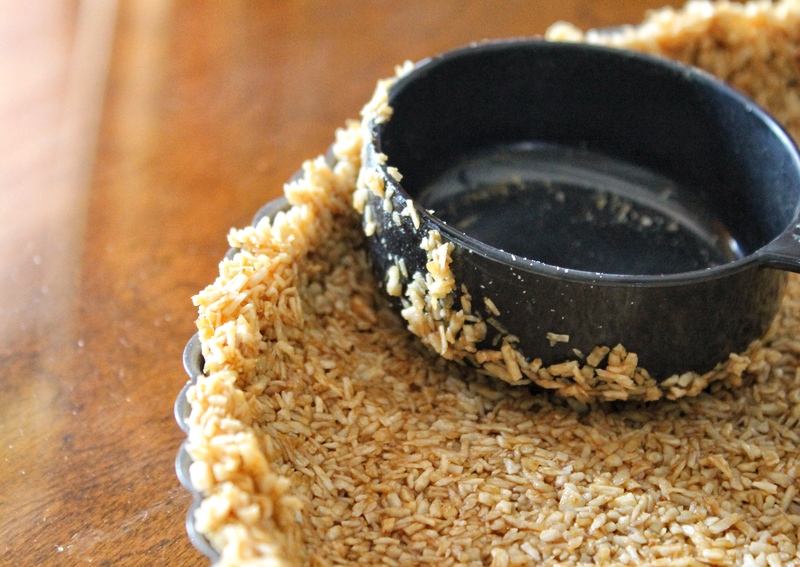 I use certified gluten-free oats, maple syrup and coconut oil as a base. 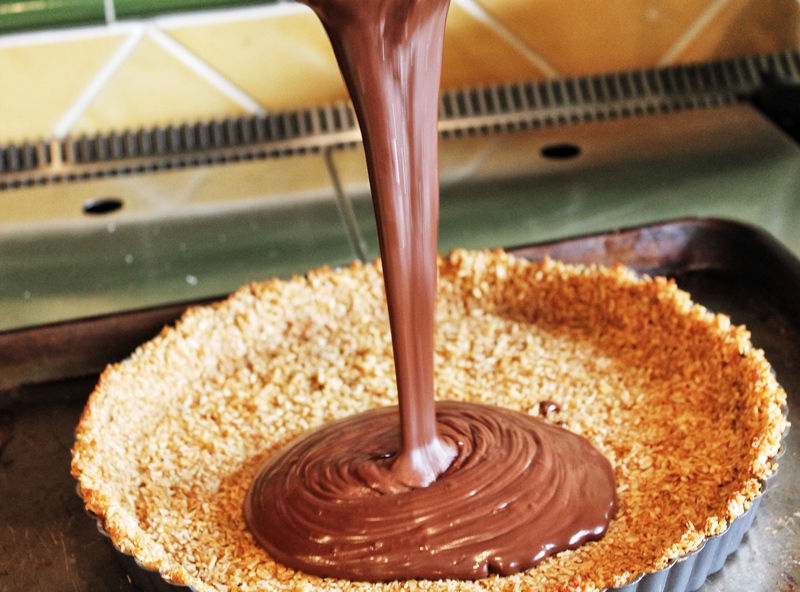 Then the flavour combinations are endless… add almond or coconut extract. Add peanut butter! What about raisins and cinnamon? You can be your own granola god or goddess…ps. this also makes a really beautiful and thoughtful gift! 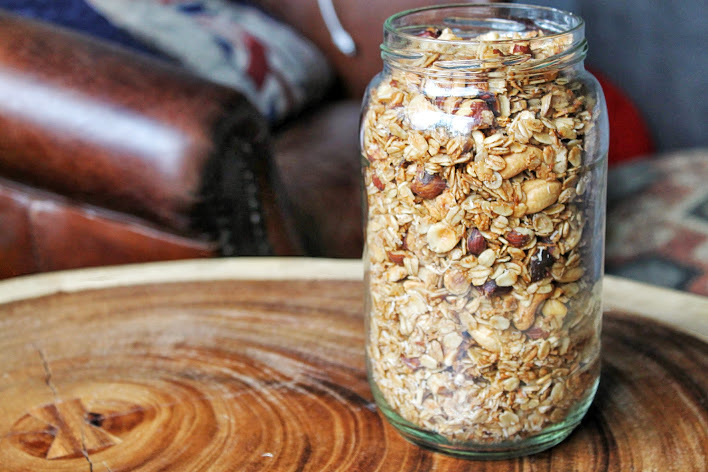 We all have an extra 45 minutes when we are doing useless sh*t. Instead of surfing the web, flipping tv channels or texting; use those 45 minutes to make some fresh granola. 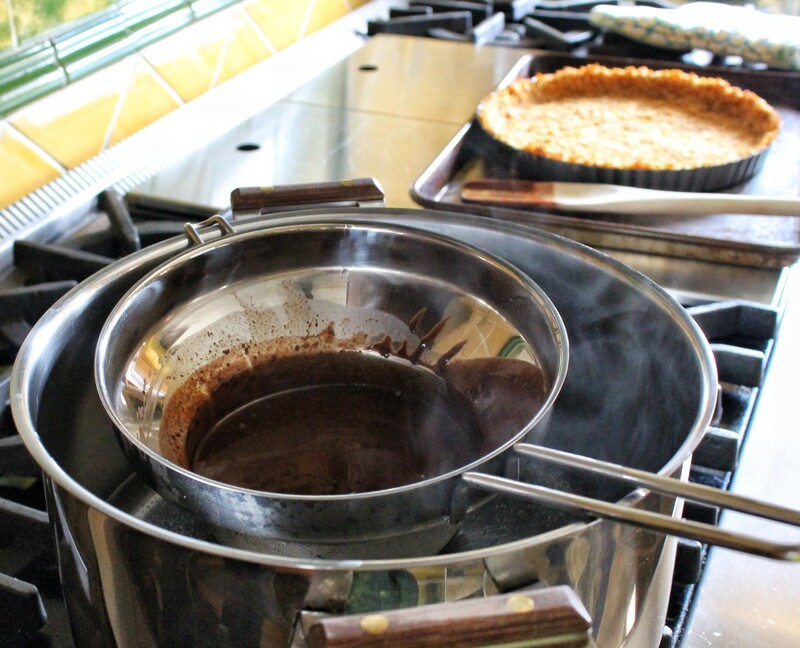 Your house will smell amazing and your body and tastebuds will thank you. Feel free to add different nuts, dried fruit or extra superfoods such as chia, flax or buckwheat. Top on coconut yogurt, smoothies or have it straight out of the container by the handful (warning: you won’t be able to stop). I had mine with warmed vanilla almond milk, chia and a fresh pear. 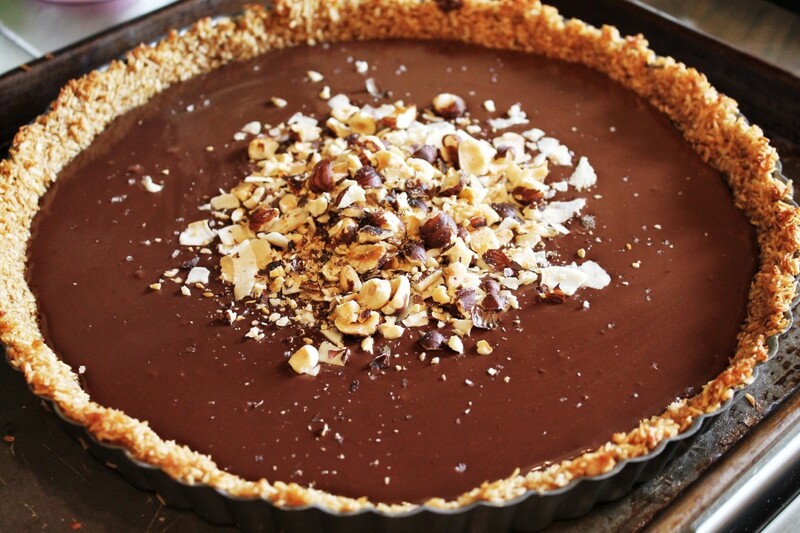 As always this recipe is gluten, dairy and refined sugar free (and vegan)! Bon appetit! • 1/2 cup coconut oil (melted) *avocado oil works well too! 1. Preheat oven to 350 degrees F. Line a large baking sheet with parchment paper. 2. 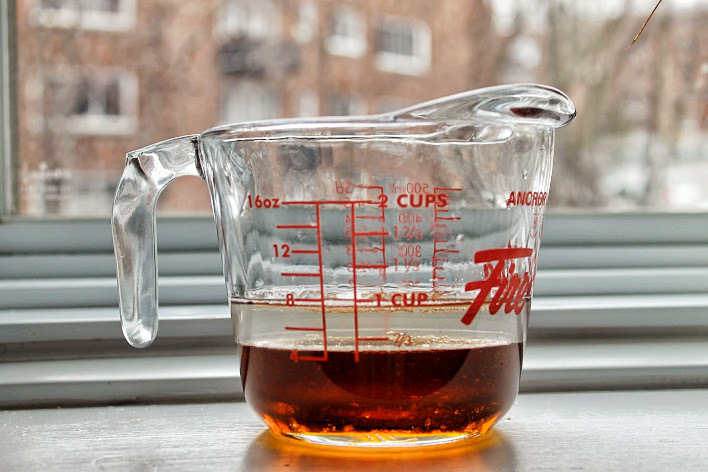 Whisk maple syrup, melted coconut oil, and vanilla until combined. 3. 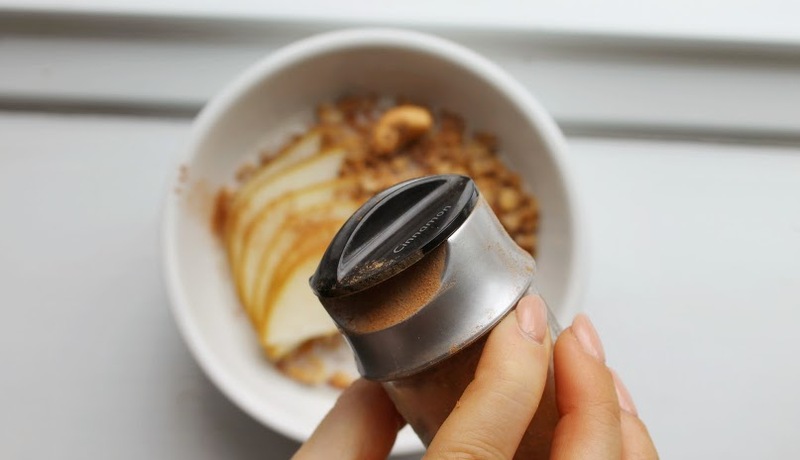 Add oats, coconut flakes, nuts, cinnamon, and salt and stir until combined. 4. Spread granola evenly on baking sheet. 5. Bake for 35-45 minutes depending on your oven. Stir every 10 minutes. Remove when golden brown. Let cool and add any dried fruit you like! Store in an airtight container for up to 2 weeks.